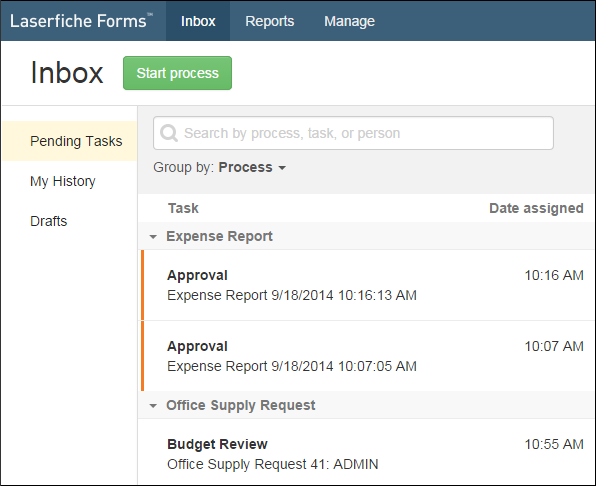 Laserfiche Forms 9.2 boasts a new inbox that lets you make informed decisions in your business process. The inbox includes three main sections: Pending Tasks, My History, and Drafts. These sections make it easy to find tasks that are waiting on you to act, a record of tasks you completed and forms you’ve submitted, and any unfinished forms you’re in the middle of filling out. Every time a task is assigned to you, it appears in your Pending Tasks tab. If you have a lot of tasks, you can easily search and sort them. Click a task to see the form associated with it. To see the process’s history and summary data, click the Show process information link at the top of the pane. Once you make your decision on the form, the inbox automatically moves the task to the My History tab and displays your next task. 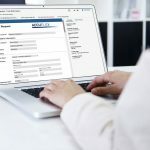 The My History tab lists all the processes you’ve interacted with, whether you submitted a form to start the process or whether you completed a task at a specific point in the process. Like the Pending Tasks tab, you can search and sort these processes to quickly find the one you need. If you start to fill out a form, but need to finish it later, you can save it to the Drafts tab. Select a draft to finish filling it out, or click the Discard button to delete a draft you don’t want to finish. You can also start a new process directly from the inbox – either by submitting a form or by starting a process manually. 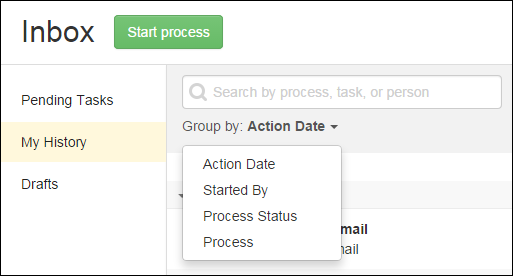 Click the Start Process button, and choose a process from the list. 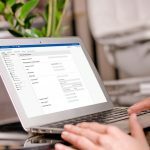 The inbox automatically resizes based on your browser’s size – meaning you can seamlessly move from desktop to tablet to phone as you complete your tasks. 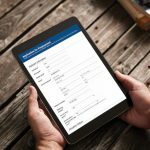 The Laserfiche Mobile app version 9.2 also has a Laserfiche Forms inbox, letting you complete and review your tasks directly from the app.